Welcome to a city that is famous for its spring break party scene; beaches, yachts, mansions, museums and everything in between are what you’ll find in Fort Lauderdale, Miami’s northern, laid-back sister city. Whether you’re in town to enjoy the atmosphere and delicious food in downtown Broward or your plan is to charter a fishing boat and head out into the blue, Fort Lauderdale has something for you. Here you’ll find a few places to go and things to see while you’re in this historic city. Founded in 1976, Fort Lauderdale’s Museum of Discovery and Science has been educating and entertaining all whom venture inside. It’s not just a place for kids to have fun and learn about science — adults can also appreciate the interactive exhibits and multiple state-of-the-art simulators there. This museum features its own IMAX theater as well as a number of ‘ecoscapes‘, a simulated ride to Mars, a simulated airboat ride in the Everglades and a MaxFlight airplane simulator. Among the more popular aspects of this museum are the quantity and variety of Floridian animal species on display. Welcome to the home of Fort Lauderdale pioneers Frank and Ivy Stranahan. 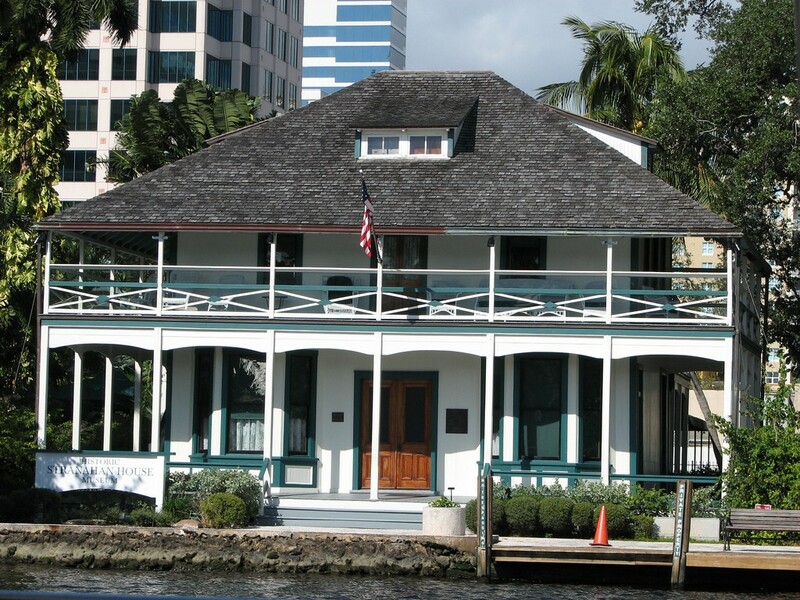 Built in 1901 as a trading post and converted into a residence for the Stranahans in 1906, this house is the oldest surviving structure in Broward County; it was placed on the National Register of Historic Places in 1974 and today operates as a historic museum. The house is open for guided tours at 1, 2 and 3 p.m. daily, and hosts special events throughout the year. You can’t visit Fort Lauderdale without planning a trip to the beach, and there are plenty of wonderful options to choose from — you’ve got Sunrise, Oakland Park, Las Olas and everything in between. But, if we were to recommend one place to go to get the authentic Lauderdale beach experience, it would have to be the small town of Lauderdale by the Sea. Take East Commercial Boulevard until you cross the bridge over the intracoastal — once you cross the bridge, you’ve made it. Everything here is just a little bit more laid back and has a genuine feel of a small community that loves to live life simply by the ocean. Some great local restaurants to check out while you’re here include Blue Moon Fish Co., Keese’s Gourmet Mediterranean American, and Aruba Beach Cafe. Located in the town of Oakland Park, this microbrewery started out as an idea to turn an empty warehouse into one of Fort Lauderdale’s most iconic hangouts. What makes this place so popular is its beer — Funky Buddha is dedicated to creating new and bold flavors and is never scared to try something unexpected. Whether you get a pint of their flagship Hop Gun IPA or want to try a seasonal brew, such as the Maple Bacon Coffee Porter, you won’t be disappointed. And, did we mention the atmosphere? A warehouse is a big space to fill, and the founders of Funky Buddha went about filling it the right way with games and big-screen TVs to keep you entertained. Funky Buddha even features its own delicious food menu — be sure to come here for a taste of the true Fort Lauderdale spirit. Fort Lauderdale is often referred to as the ‘Venice of America’ due to its seemingly endless miles of waterways and intracoastal canal system. There’s no better way to see Fort Lauderdale’s beautiful yachts and grandiose mansions than by taking a tour along its water highways. 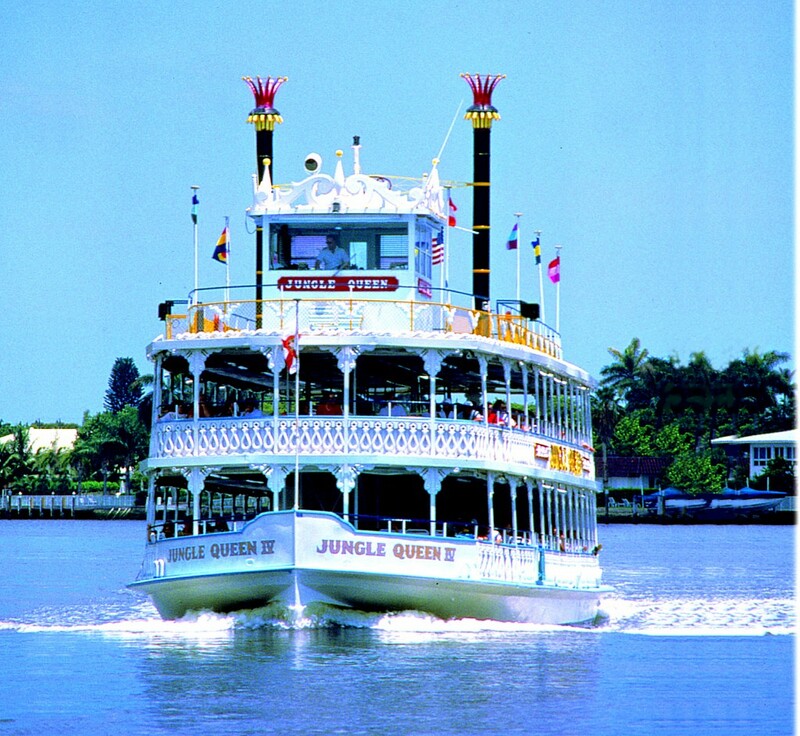 The Jungle Queen offers a unique sightseeing experience where passengers enjoy a fully narrated cruise down Millionaires’ Row, and when they arrive at Tropical Isle, they’re treated to an all-you-can-eat dinner featuring barbecue baby back ribs, chicken, peel and eat shrimp and all the fixings. Broward Center for the Performing Arts is a large multi-venue theater and entertainment complex located in the heart of downtown Fort Lauderdale. Designed by award-winning architect Benjamin C. Thompson, the Broward Center is considered the cultural heart of Broward County. The City of Fort Lauderdale shows that it is truly committed to the development of the performing arts by making an effort to promote shows, musicals and ballets that grace the stages of the Center for Performing Arts. There’s nothing like catching a popular show on a Friday night or a Sunday matinee to inspire your artistic spirit. 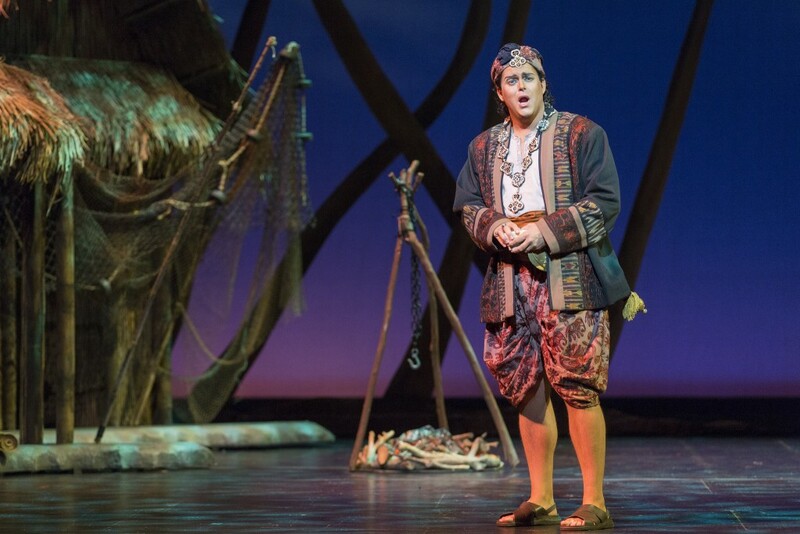 Broward Center is partnered in the arts with several renowned organizations including the Symphony of the Americas, Florida Grand Opera, Miami City Ballet and the Concert Association of Florida.